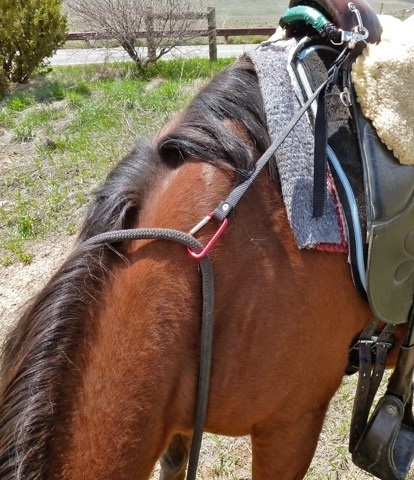 Rein Safe is a strap that doesn't allow your reins to fall down your horse's neck. When your horse puts his head down to eat or drink, Rein Safe holds your reins for you! Convenient, stays out of the way, and a great safety feature! Caribeaners come in assorted colors.